Beautiful Home Plans for the way we live today. Whether you are embarking on your first home design or this process is familiar to you, it’s important to have an experienced team to lead you to success. We at Brent Gibson Classic Home Design strive to know you personally, incorporate your lifestyle, and create a timeless home for you and your family to enjoy for many years. If you are modifying an existing plan or creating a one of a kind custom design, your plan will include every element and detail to fit your lifestyle. As your designer, we give special care to fully understand the vision and dream for your home. 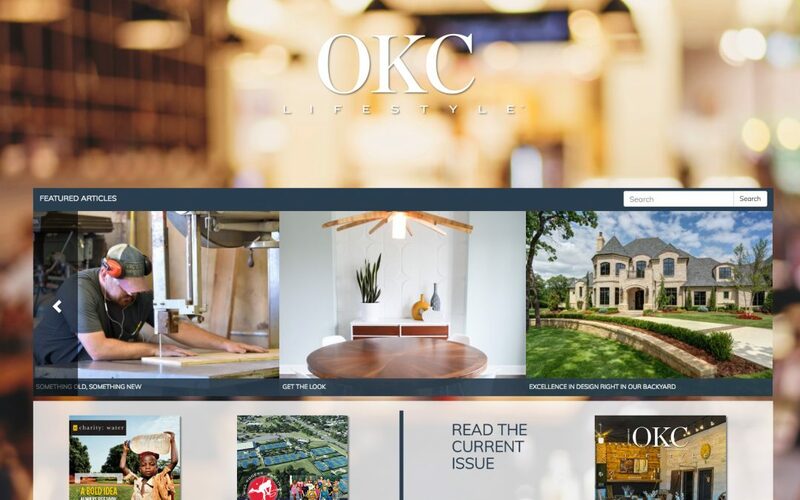 For over thirty years, Brent has been designing exquisite and unique environments for families of any age and continues to lead the way both locally and around the country. Inspired by the medieval era, these rustic and romantic homes feature steeply pitched roofs with prominent cross gables. Tudors often showcase a front entrance complete with a rounded Tudor arch, which gives them a storybook appearance. Identifiable features include steeply pitched roof, cross gables, decorative half-timbering, prominent chimneys, narrow multi-pane windows, entry porches or gabled entry, patterned stonework or brickwork and overhanging gables or second stories. The massive chimneys common in Tudor style are often made of patterned brick or stonework and capped with decorative chimney pots. Windows are typically long and arranged in groups of three or four with small diamond or rectangular panes. Lovely in a wooded setting or swaddled by a traditional English garden, this picturesque style compliments your own fairy-tale. An offshoot of the Tudor Revival, the English Cottage style depicts medieval building techniques. Their designs are usually asymmetrical, with steep roof lines and intersecting gables. The home’s whimsical floor plans delight with small irregularly-shaped rooms that provide wonderful nooks and crannies. Amazing! 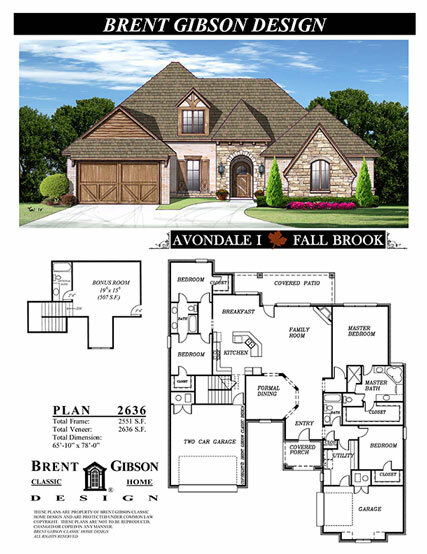 We just completed our custom home plans and highly recommend Brent’s team for anyone! Shane made sure every detail was perfect on the plans for our families new home! Thank you!! We went to Brent Gibson Design for a custom house plan that would have sufficient space for my husband and I as well as my mother. Shane designed a beautiful home plan that encompassed the space we need with every detail we desired in our home. Brent Gibson, Shane Rickey and their team are very friendly and easy to work with. They have designed our Ultimate Dream Home and I couldn’t be happier with our plans. Thank you so much for designing our dream home. We love the floor plan and can’t wait for it to be completed! Thank you! 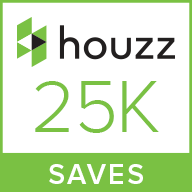 Thanks for designing our beautiful home! Every element we desired was drawn to perfection. We just moved in and couldn’t of dreamed it would be this amazing! Thank you!!! 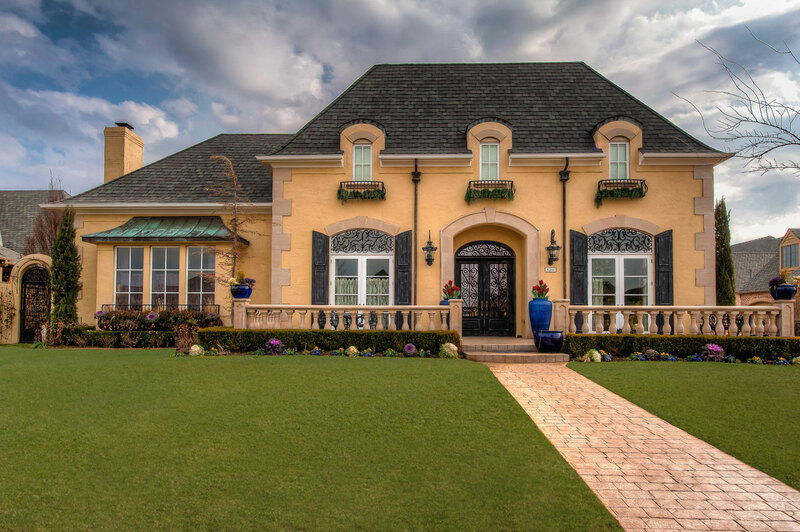 Rooted in the rural French countryside, the French Country style, also known as French Provencial, includes modest farmhouse designs with estate-like chateaus. At its roots, the style displays a rustic warmth and comfortable designs. These homes nuzzle in upscale suburban areas, where their unique features make them a perfect fit for those who desire a residence with an unmatched sense of style and charm. Many French Country home designs exhibit a square, symmetrical shape with windows balanced on either side of the entrance and a steep hipped roof. Others are asymmetrical, with multiple roof elements to create a series of visual focal points. Round towers and entryways hidden beneath rustic arches are common decorative features. 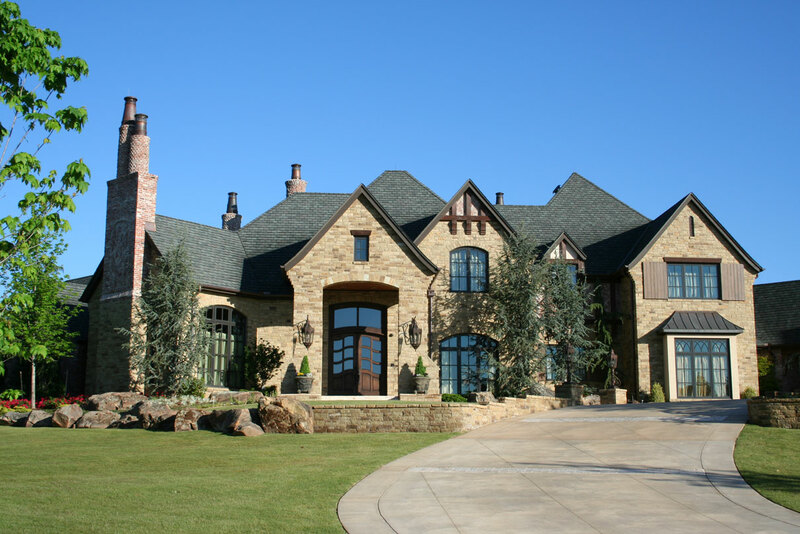 Stone, stucco, and brick are the prevailing choices for the exterior. Common features include long, skinny windows, steep roofs, multiple gables and assorted arches. 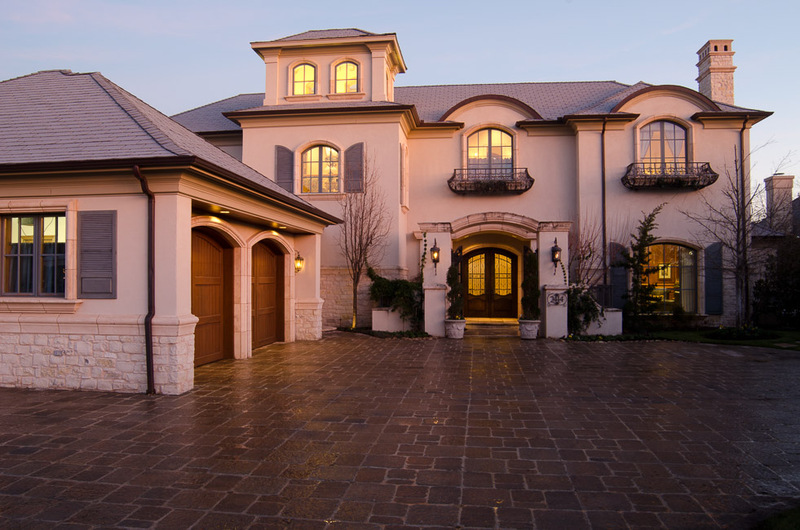 Stucco and stone are frequently used, trimmed with painted timbers, windows boxes, wrought iron railings and brick highlights around windows and doors. The French Country style combines the best of old world elegance with comfortable interiors. Its architecture reflects a wealth of diversity. Old and new, formal and informal elements are mixed in houses ranging from humble cottages and farmhouses to grand chateaus. These picturesque multi-story homes are designed to resemble Italian villas. The most predominant feature of this style is its imposing scale and formal design incorporating classical details such as columns and round arches. One version of the style features a large rectangular building, usually three or more stories in height, topped by a flat roof with a crowning balustrade. Identifiable features include low-pitched hipped or flat roof on a symmetrical facade with masonry construction, impressive size and scale, round arch entrance and windows, classical details like columns and pilasters, roof line parapet or balustrade and an arcaded and rusticated ground level. While some styles have a similar form and tiled roof as Spanish Colonial style, Italian Renaissance homes include classical details like columns, pilasters and pedimented windows. This elegant style is seen mostly in up-scale, architect-designed buildings, such as mansions or public buildings. Inspired by the seaside villas of the Renaissance era, Mediterranean house plans mimic romantic Italian and Spanish architecture. 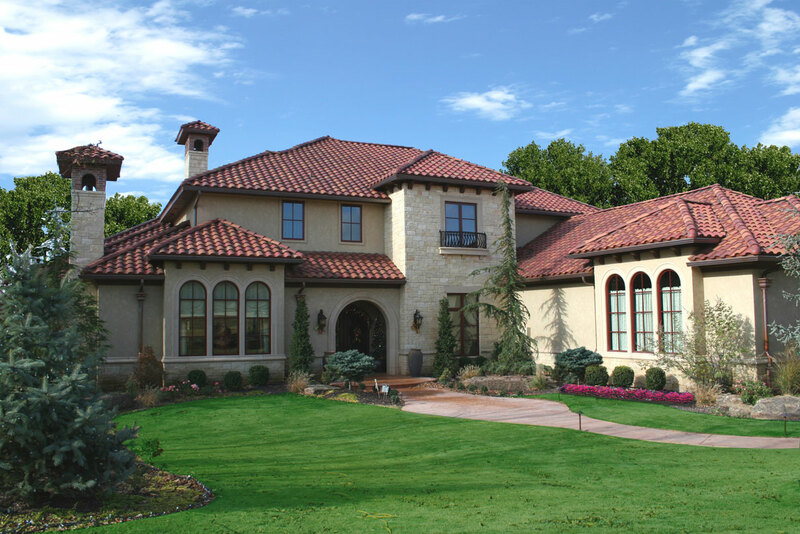 Spanish or Mediterranean style house plans are most commonly found in warm climates, where the clay tile roofs assist in keeping them cool during the hot summer months. They are typically finished with a white or pastel stucco exterior that feature architectural accents like arched openings or wood beams. Low-pitched tile or terra cotta roofs, stucco walls and arch motifs are common features in Mediterranean style houses. Lovely balconies and decorative wrought iron or wooden window grilles give these homes an exotic feel, while large windows provide a connection to the outdoors. This style is ideal for vacation getaways and is filled with a warm sense of hospitality that never goes out of style. Regardless of what style catches your eye, we are committed to giving you the house of your dreams that reflects you and your family’s personality and ideals, while making it a timeless investment for your future.